The Southwest converged on San Marcos, Texas last weekend for the highly-anticipated Southwest Regional Championship. Lone Star Quidditch Club walked away with the trophy, but that was hardly the most notable event that occurred. One of the weekend’s most shocking storylines was when last year’s Southwest Regional Championship runner-up, Baylor University, failed to make it to day two. Baylor entered the tournament as a Pot Two team with only three losses this season—two to Texas Cavalry and one to Texas A&M University—but ended up doubling that number in pool play. The Bears’ regional started with a 20-point loss to Tulane University in overtime that ultimately placed Baylor last in its pool. Though both teams finished the day with a 1-3 record, Baylor fell on the wrong side of a head-to-head tiebreaker and, in turn, did not see day two. Baylor had struggled all year with the loss of last year’s seniors, and it seems the departure of keeper Jacob Bruner this semester was the final nail in the coffin. Adding to the team’s vulnerability, starting beater Pearson Reese played limited minutes at the Southwest Regional Championship for what was assumed to be a coaching decision. This lead to the exposure of flaws within the team’s beating game, a component the Baylor Zone relies upon heavily. The renowned Baylor Zone seemed much looser than in previous seasons, leaving holes for offenses to score on and stymieing the Bears’ previously notable fast-paced offense. The weekend was full of upsets, but the most surprising were the victories secured by Pot Five teams. 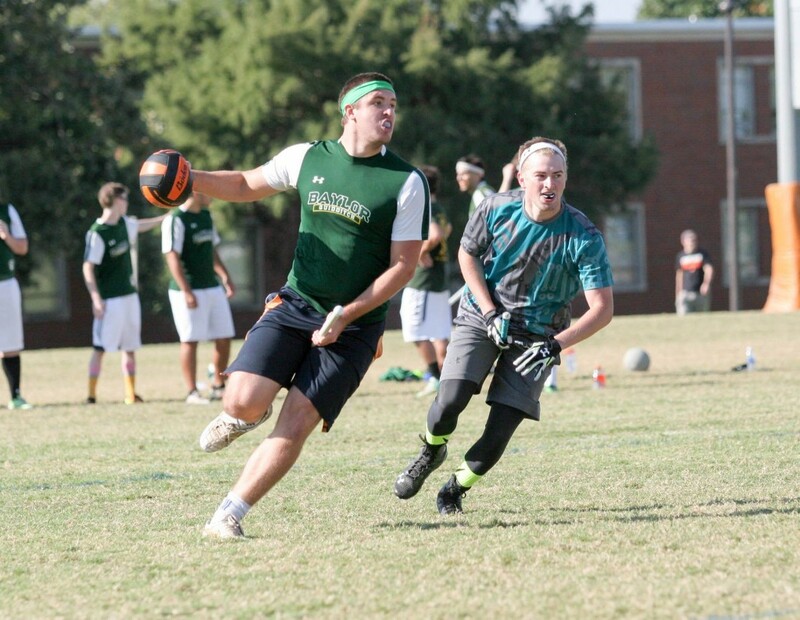 In a demonstration of the region’s depth, three out of four Pot Five teams pulled upsets to escape elimination, and the fourth, Lumberjack Quidditch, was only one goal in double overtime away from following suit. 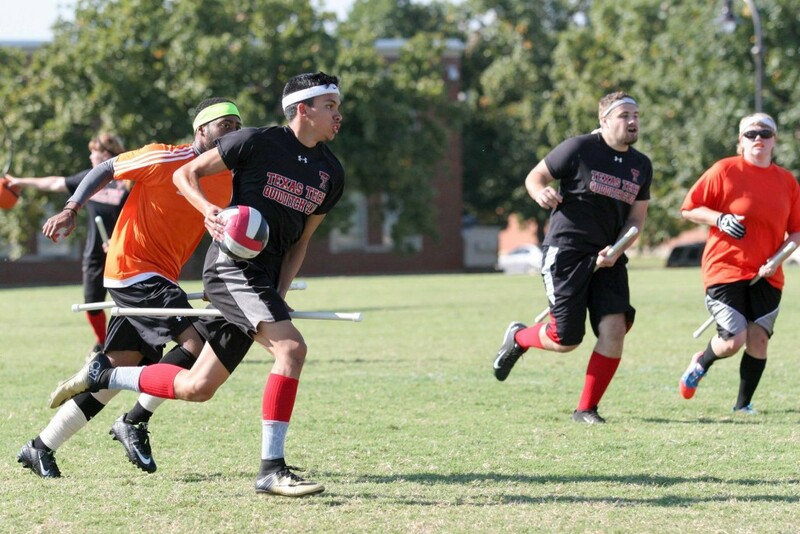 San Marcos Sharknados and Death Row Quidditch each placed fourth in their pool, while the Silver Phoenix upset Texas Tech University to take second. 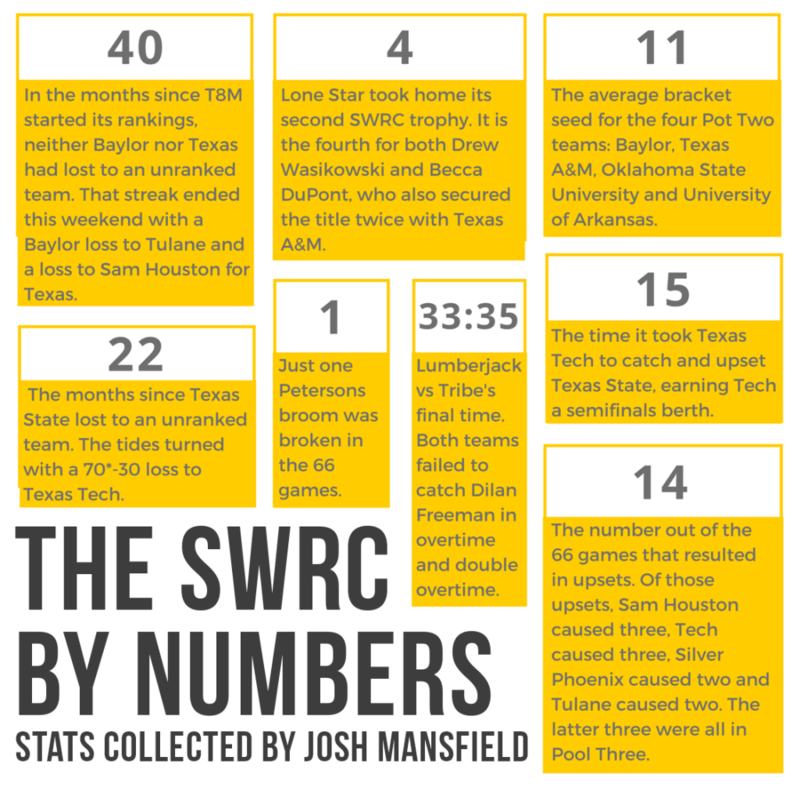 Upsets at the Southwest Regional Championship occurred with alarming frequency. Both the University of Texas (#7) and Texas A&M (#8) lost to unranked teams in pool play, and Texas State (#6) suffered a loss to the unranked Texas Tech in the bracket. In fact, Texas Cavalry and Lone Star were the only teams relatively impervious against the region’s second-tier teams. Both faced the Texas Tech upset-machine and won handily out of range, and each also played several second-tier Southwest teams for a combined record of 14-1; only three of those games were in snitch range*. The only loss, Cavalry’s in-range semifinal versus Texas, would be hard to describe as an upset given the strength of Texas’ regional roster. Although Lone Star came away with the trophy, history has taught us to keep an eye on defending World Champion, Texas. A waltz through the bottom of its pool Saturday morning left Texas unprepared for a Sam Houston State University team which showed up to play. The result? A 100*-90 victory for Sam Houston over Texas, setting the two teams up for a rematch in the quarterfinals. The rematch started similarly; the teams trading goals for the first 10 minutes, until a series of big hits and well-timed goals proved the three-time world champion was the better team. The return to form carried Texas to a 40-point lead before the team pulled to defeat Sam Houston, and the boost of confidence continued into the semifinal matchup versus Texas Cavalry. The Texas-Cavalry game stayed in range, but Texas clearly controlled the momentum of the game. Coupled with a stellar snitch-on-pitch performance by Michael Duquette, Texas pulled to win 110*-90 against a team who had gone 4-0 in SWIM situations against Southwest teams this season. The Texas momentum carried into the finals, where it put up a 40-10 run against Lone Star to kick off the match. Lone Star, ultimately, fought back and brought the game up 20 in its favor when Stevie Bell pulled the snitch to keep Texas from winning its first Southwest Regional Championship. This year’s Texas certainly looks different from years past but that does not mean it should be disregarded. After a slow start for its newer players, the Longhorns’ leadership has turned this team into a well-coached, well-oiled machine that can play just as physically as any earlier Texas squad. Don’t let the lack of last names on their jerseys fool you. If you don’t know their names now, you will come April. This is a team that, with the right amount of sideline hype, can be nearly impossible to stop, and will certainly have a legitimate claim at extending their dynasty in Columbia.